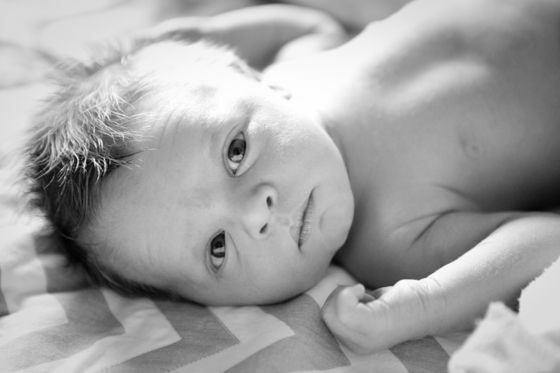 I took a little time and took some baby pics of our little boy the other day before he no longer looks like a newborn. Here is the one that we used for our birth announcement. OK I’m going to go snuggle with him now. I’ll be back in a couple of days with my finished infinity scarf. Oh, he is simply beautiful! He is so gorgeous and you are making me so broody! Congratulations again! Aw, so sweet! Great photo. Absolutely gorgeous. What a sweet little man. Adorable! And yes, they really don’t stay newborns long! I really love this pic. He is adorable, but seriously, I had a total let down because the title was picS and not just pic. I really need more. Come on, for the far away auntie. What a beautiful guy! Thanks for sharing the pic! hey, i’m a little late and playing blog-catch-up but i wanted to say congratulations! i hope the whole family is doing well. he’s adorable! !